Share information and experiences relating to Tropical Storm Alex as it approaches Southern Texas and Northern Mexico. This is interactive and experimental. If you're new to Wave, you can scroll down using the little scroll bar on the top right of the Wave. You can edit this Wave by signing into your Google account or setting one up at http://wave.google.com. 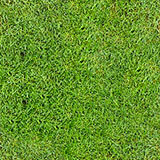 This post contains an embedded Google Wave. Click here to follow. 11:00a.m. to 12:00 noon. Open house all afternoon. 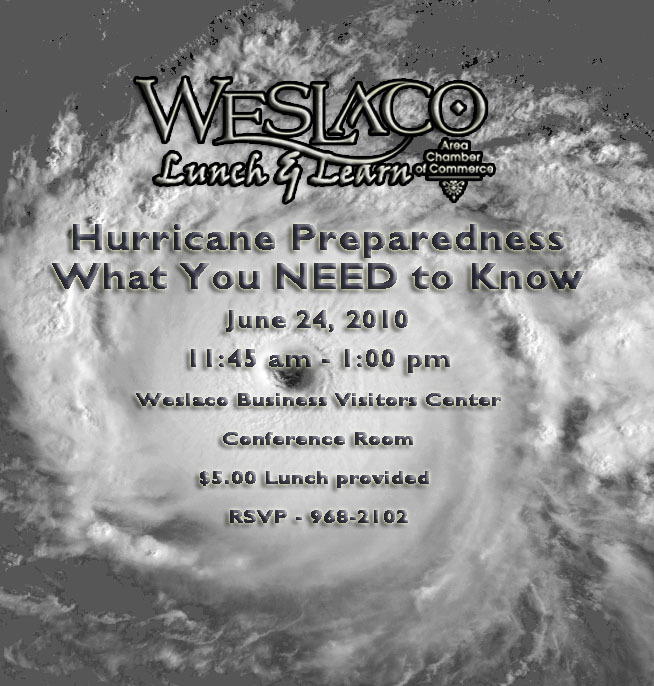 For more information, call the Pharr Chamber of Commerce at (956) 787-1481. The chamber is working on upcoming events that give you the opportunity to network and meet the new members who join your chamber of commerce. Take advantage of all we have to offer you! 3rd Annual Mayor's All America City Golf Tournament is just a swing away! 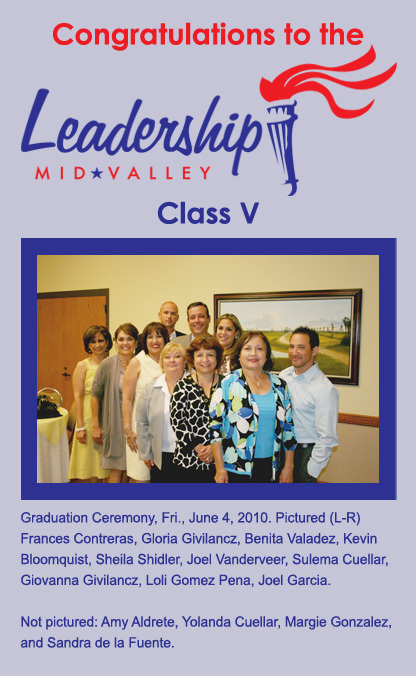 Saturday, July 24th 2010 at Tierra Del Sol. Don't miss out on Hole in One Opportunities to win a round trip to Hawaii, $10,000 Cash Prize, Frank Smith Toyota 2010 Year Model Vehicle, Clark Knapp Honda 2010 Year Model Vehicle and more! The Board of Directors of Lone Star National Bank together with the Pharr Chamber of Commerce cordially invite you to the Pharr Branch Ribbon Cutting at 206 W. Ferguson in Pharr, Texas on Tuesday, June 22, from 10:30a.m. to 12:00 noon. Refreshments will be served. The Pharr Chamber of Commerce is an organization of business people united to promote commercial enterprise, enhance community image and imprive quality of life..
Keeping you connected, active and involved... now when you need it most. Join our growing network today! PLEASE NOTE NEW LOCATION FOR THIS EVENT! JOIN US for Bill White University. Become a part of our team to move Texas forward -- sign up now to attend BWU in McAllen. This one-day training session is designed for supporters who want to get more involved in our campaign. ... get the inside scoop on our campaign strategy across the state. ... learn how to lead a grassroots movement in your community, by becoming a precinct captain (organizing your precinct), block captain (organizing your direct neighbors) or a volunteer. ... spread the word about Bill White. With the help of supporters like you, we can make Texas a place where our kids and our grandkids will thrive. We look forward to seeing you on Saturday, June 19th at 10 a.m.! Tonight Dorothy will discuss WATER, when the normal supply is lost in a disaster. I am proud to announce that a landmark veteran caregiver bill passed by Congress this April has been signed into law. The Caregivers and Veterans Omnibus Health Services Act will provide support services to family and other caregivers of all veterans, including assistance for caregivers living with severely wounded veterans of Iraq and Afghanistan. The act will create two distinct caregiver programs within the Department of Veterans Affairs, one for caregivers of all veterans and one specifically designed for those supporting Iraq and Afghanistan veterans. Caregivers are defined as family members of veterans or non-family members who live with a veteran. Training, education, counseling, mental health services, lodging, financial assistance and subsistence payments for accompanying veterans on medical care visits will be provided to qualifying caregivers as a result of this legislation. It is important that we help the men and women in our troops, those who stand by them, as well as our veterans. These caregiver benefits are vitally needed and well-deserved. We would not have been able to do this without the support of a broad coalition of veterans groups including the American Legion, Veterans of Foreign Wars, Disabled American Veterans, AMVETS, Paralyzed Veterans of America, the Wounded Warriors Project and the National Military Family Association. Once established by the Department of Veteran Affairs, these caregiver benefit programs will no doubt assist our military and veteran families across the country. As always, you are welcome to visit my website at www.cuellar.house.gov/welcome where you can find information on the latest news from Congress and throughout our Congressional District. You're Invited to Watch FIFA World Cup at the Mission Chamber! Join us for the 2010 FIFA World Cup Inauguration Game South Africa vs. Mexico. Game will be shown on all 4 screens. FREE taquitos and coffee, while supplies last. The Greater Mission Chamber of Commerce is a trusted business organization working for the development and voice of business success in Mission. We provide opportunities for all businesses and individuals who invest in the Mission community. Our goal is to keep Mission a healthy, thriving community with an exceptional quality. The Rio Grande Valley chapter of Social Media Club is organizing the first ever Social Media Camp in the RGV. The event will be held August 14, 2010 at the historic Cine El Rey. Attendance to Social Media Camp McAllen is completely free for attendees. AUSTIN—Rep. Veronica Gonzales has earned the endorsement of the Texas RN/APC PAC, which includes several nurses' organizations, lengthening the list of Gonzales' supporters in Texas' health care community. "Through my position on the House Public Health Committee during the past two sessions, I have learned so much about the nursing profession and the role nurses play on the front line of medicine. I am proud to have worked with and for nurses in Texas and am honored by this endorsement," Representative Gonzales said. The Texas RN/APC is political action committee (PAC) of the Texas Nurses Association, the Texas Association of Nurse Anesthetists, Coalition for Nurses in Advanced Practice and the Texas Nurse Practitioners. Other health care PACs that have endorsed Gonzales include the Texas Medical Association and the Texas Hospital Association. New Chamber Members of the Pharr Chamber of Commerce are invited to attend Breakfast Before Business New Member Orientation on Thursday, June 10th 2010 from 7:30a.m. to 9:00a.m. This event is designed to get new Chamber Members acquainted with the Pharr Chamber staff and learn about the value of their membership benefits and services as well as getting a better understanding of why the Pharr Chamber is so important to the success of their organization. The Pharr Chamber of Commerce is committed to promoting commercial enterprise, enhancing community image and improving the quality of life. Guest Speaker is Jerry Medina of Aviso Media Group. 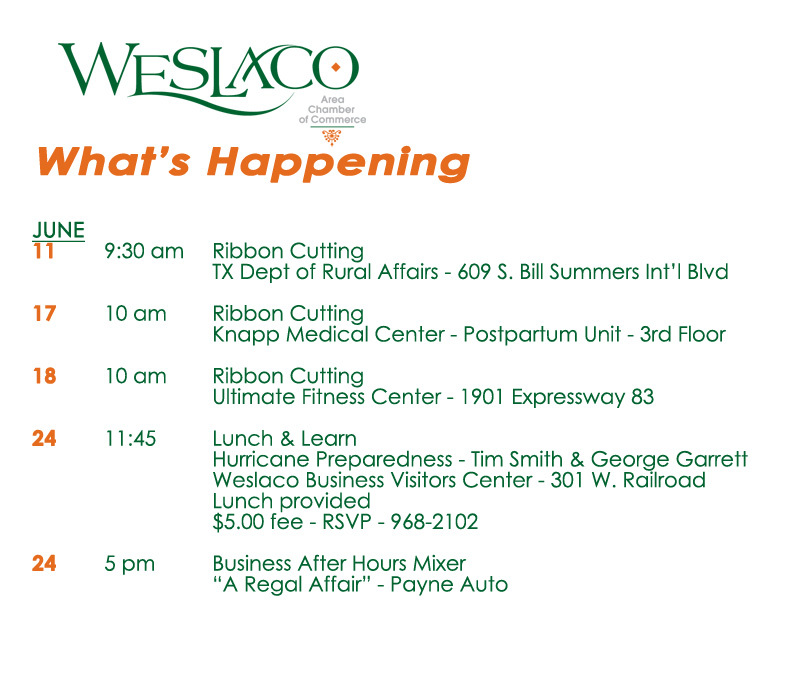 For more information, call Pharr Chamber of Commerce at (956) 787-1481. Wage and Hour Seminar for Small Business Employers to be held Wednesday, June 9th 2010 from 2:00p.m. to 4:00p.m. at the Pharr Chamber of Commerce Conference Room. Topics to be discussed are Applicablity of Federal Labor Laws, Record Keeping Requirements, Minimum Wage, Overtime Requirements and a Question and Answer session. 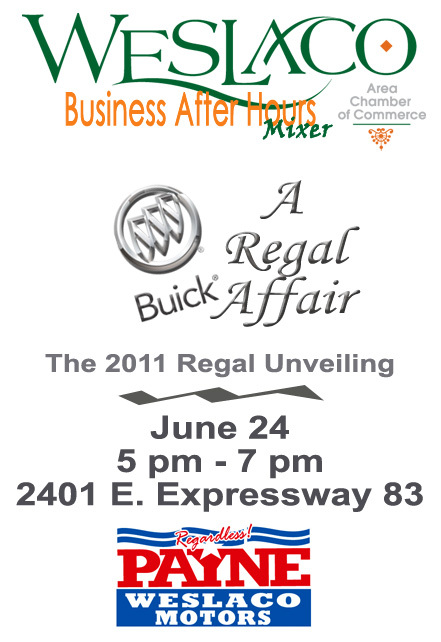 Hosted by the University of Texas Pan American Small Business Development Center. For more information or special accomodations, call the Pharr Chamber of Commerce at (956) 787-1481. Keeping you connected, active and involved.. now when you need it most. The chamber is working on upcoming projects that give you the opportunity to network and meet the new members who join your chamber of commerce. Take advantage of all we have to offer you!